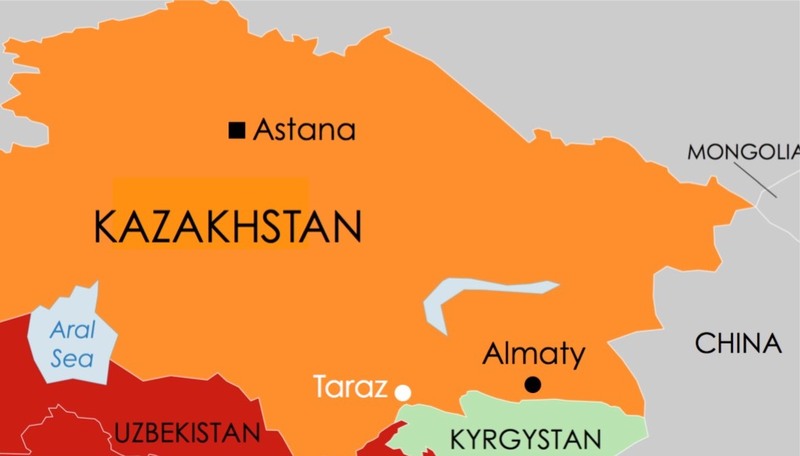 In recent months, Kazakh police have repeatedly raided Baptist congregations in the southern city of Taraz, as well as others around the country. A church in Almaty has been fined 454,000 Tenge (€1,260) for meeting for worship and banned from meeting for three months. Yklas Kabduakasov has been sentenced to two years in prison labour camp. He was accused of inciting religious hatred after he discussed his faith with a group of students. Retired Presbyterian Pastor Bakhytzhan Kashkumbayev (67) was released from custody on 17 February after being in prison since May 2013. The predominant reaction among his friends and family was rejoicing at his release and at the fact that he will now be able to obtain medical treatment for varicose veins which have been causing him much pain. Pastor Bakhytzhan Kashkumbayev was freed from prison on 8 October, to be transferred to house arrest, but was arrested within minutes on new charges of “extremism”. Pastor Bakhytzhan Kashkumbayev was transferred to an Investigation Prison in the capital, Astana, after his release from Almaty’s Centre of Psychiatry, Psychotherapy and Narcology on 2 September. Pastor Kashkumbayev was discharged from psychiatric hospital on 2 September, after one month’s forcible detention. The criminal investigations against him and his church continue. Pastor Bakhytzhan Kashkumbayev (66) who was arrested on 17 May has been ordered to undergo psychiatric evaluation and has announced a hunger-strike in protest. The worrying development in the case of Pastor Kashkumbayev came as his period of detention was extended for a further month (to 17 August). Pastor Kashkumbayev has been transferred from prison in the capital, Astana, to a prison in the city of Almaty. Pastor Bakhytzhan Kashkumbaev (66) was arrested on 17 May 2013 and ordered to be held for up to two months’ pre-trial detention while the case against him is investigated. Uzbek pastor Makset Djabbarbergenov (32) was released from prison in Kazakhstan on 4 December and flown to safety in Europe.